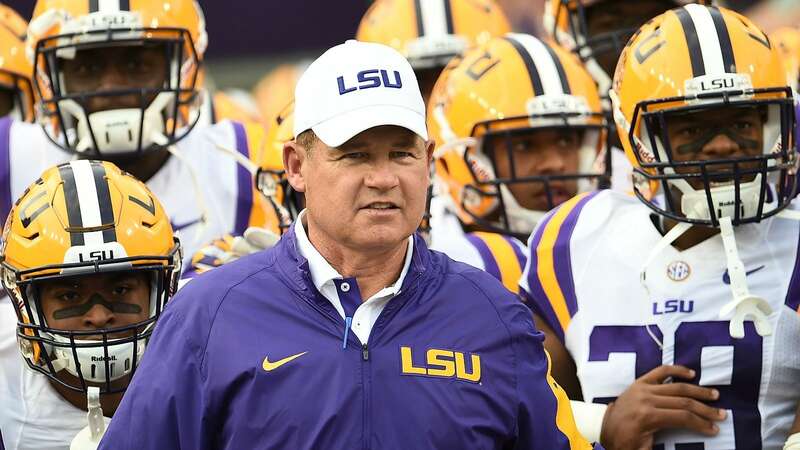 By now, you’ve probably heard the news that rocked college football on Sunday afternoon: Les Miles was fired as head coach at LSU. While the timing of the news was surprising, the decision to get rid of Miles seemed inevitable following Saturday’s loss to Auburn. For all the success that Miles has had at the school — his win percentage at LSU is actually higher than Nick Saban’s was — he was nearly let go last year. And when his team came back in 2016 and pretty much looked the same as last year’s, it seemed like a matter of "when" not "if" he would be gone. That "when" came Sunday, and as the old saying goes, "A fresh start might be good for both sides." But while so much focus is on LSU — and who they might hire next — no one seems to be focused much on Miles. And that’s a shame, because there are dozens of programs across the country who would love to get Miles. He will coach again in college football if he wants, and as soon as next year if he pleases. What school gets Miles will be getting one of the most accomplished living coaches in the history of the sport. As of Saturday (before he was fired), Miles was one of only five active coaches to win a national championship joining Nick Saban, Urban Meyer, Jimbo Fisher and Bob Stoops in that exclusive category. Beyond the national title, he also has two SEC championships, and if he hadn’t been in the same league as Saban — arguably the greatest coach of all-time — for the last decade, he would probably have at least another one or two of those as well. In a little over 11 years, Miles won 114 games, a staggering average of over 10 a year. 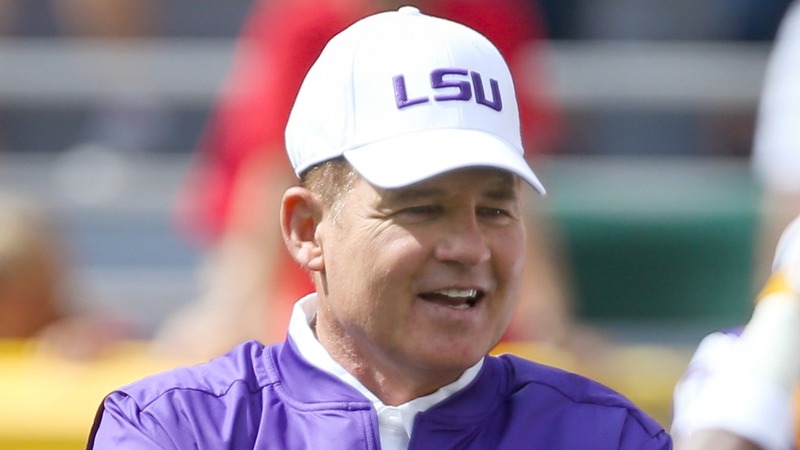 Miles never won fewer than eight games a year at LSU, and topped the 10-win plateau in seven of 11 seasons (it would have been eight if the Tigers’ season-opening game hadn’t been rained out last year). He was also one of the sport’s top recruiters, with LSU having more active players on NFL rosters than any team in college football. The doubters will say that Louisiana produces more NFL players per capita than any state (which is true), but it still takes someone to get that talent to campus and develop the players once they’re there. Not to mention that not all of Miles’ best players were from Louisiana. Patrick Peterson, Kevin Minter and Michael Brockers are just a few current NFL stars who Miles brought to LSU from outside the state’s borders. Add in his larger than life personality, and it seems to be only a matter of time before Miles gets his next head coaching gig. What will be interesting is where he ends up. Browsing the internet after the news was announced, fans from as far away as the Pac-12 and Big Ten were calling for their schools to make a push for Miles, as we some locally. Could Miles stay in the SEC and battle LSU every year (or every couple years if he ends up in the East)? Or go back to his Big Ten roots? Or a smaller school with big potential (imagine if Tom Herman took the LSU job, and Miles replaced Herman in Houston)? Remember, part of the fun of the coaching carousel isn’t just the jobs that we think will open up (say hypothetically, Auburn and Baylor this year), but the ones that only open after coaches start leaving one school for another. There will be plenty of opportunity for Miles nearly wherever he wants it. 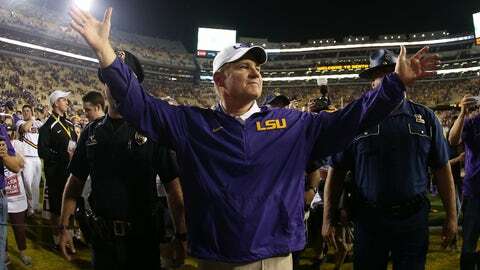 While everyone is focused on the future at LSU, the future is just as bright for their former head coach.